Windex is an ammonia-based cleaner usually used for wiping dirt or grease off glass and other surfaces. You can also use Windex to clean metal making it ideal for cleaning ovens. Care needs to be taken to ensure the ammonia in the Windex doesn't remain on the oven surfaces when food is cooking. Make sure to rinse the oven properly and completely once the Windex removes your oven's grease deposits. Windex can increase the speed of oven cleaning. Heat the oven to loosen the grease and dirt that has accumulated. Turn off the oven and allow it to cool enough so you can clean safely with protective gloves. Spray Windex onto the dirty oven surfaces. Open any windows and doors in the area to help aerate the room to prevent ammonia fumes from accumulating. 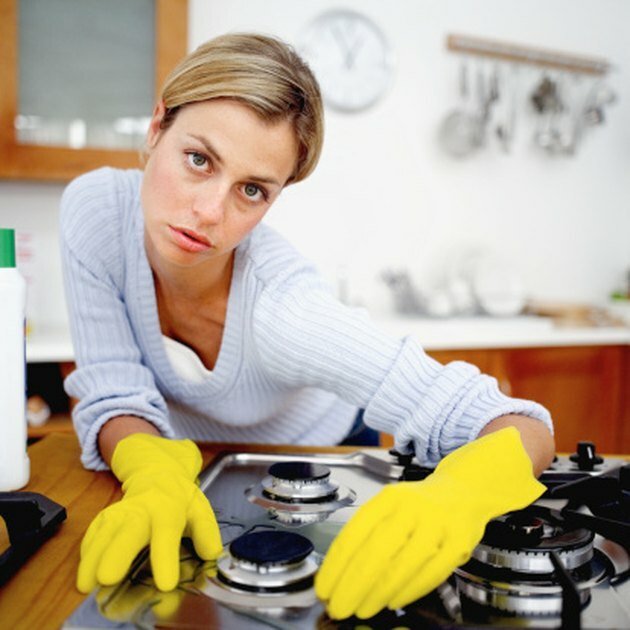 Rinse a rag and scrub the oven surfaces while wearing the protective gloves. The heat combined with the Windex will help remove grease and dirt. Use a scrubbing sponge on any stains or deposits that are not coming off. 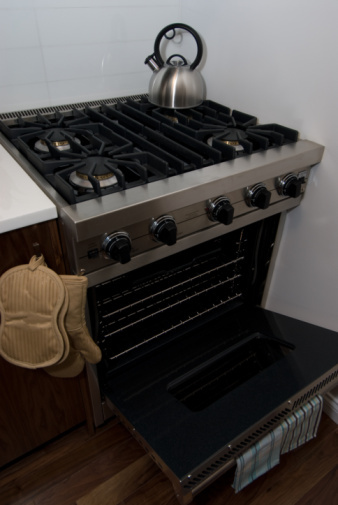 Rinse the oven again with warm water to remove any remaining traces of both Windex and grease.